Speech Therapy: Correct That Sentence! This is a fun game where students choose a card and correct the sentence on the card. The first student to collect all the monsters needed wins! 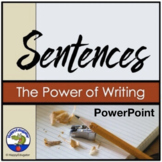 10 Correct the Sentences Printable Worksheets in PDF file.1st Grade-2nd Grade. 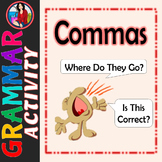 Can be used with Journeys series grammar, Identifying a correct sentence. It makes the student have to stop and think about each sentence and if it has all the parts required to be a sentence. Writing Practice -- Correct These Sentences for Kindergarten! 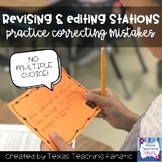 Please use this set of Sentence Correction task cards in your classroom for center work, carpet time or perhaps if you're using Daily 5 during Meet with Teacher time. Please feel free to let me know of the ways this product has worked or hasn't worked in your classroom. I love your feedback! Enjoy!